A while back I read an article by a woodworker who worked with hand tools only- he discussed the work and the work environment-quiet and relatively dust-free, listening to the sound of shavings coming off a board and out of the plane, rather than the roar and whine of machines, without fine dust piling up on everything. Working in that kind of environment and in that way appealed to me, and I spent some time thinking seriously about the possibility of making the switch to working exclusively with hand tools. Later I read about a chair maker who works in a small one-man shop using primarily hand tools- a band saw being his only machine. He seemed relaxed about the whole endeavor, and his situation looked promising. At the same time I was having a real problem with dust, and since I work in an urban environment, and loud noise is a problem for my neighbors, I decided to turn off the machines and give the hand tool idea a go. This was the first attempt, and it was difficult to commit while the power tools were close at hand, and I was unable to make the switch. 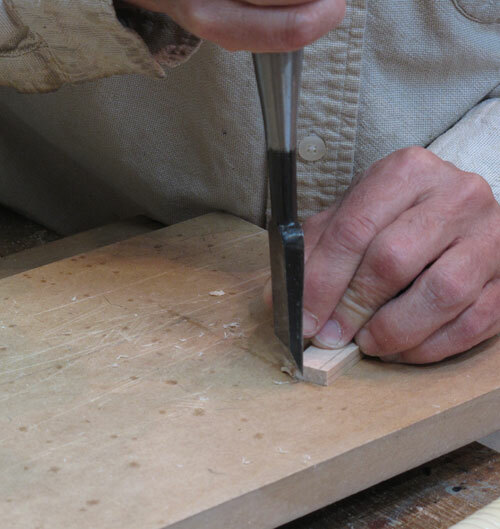 It is important to note that even when I was using machine tools, much of my work was done with hand tools- joinery, planing and scraping, fitting, beading, carving- while the milling and dimensioning were done with the help of machines. The final push occurred while I was teaching machine tool classes. Machine tools are wonderful when they are maintained and tuned, and as one of three instructors I knew that at least part of the job of maintaining and tuning the tools would fall to me. I never enjoyed maintaining and tuning my own power tools, so the idea of tuning tools that students and other instructors would use didn't appeal to me. 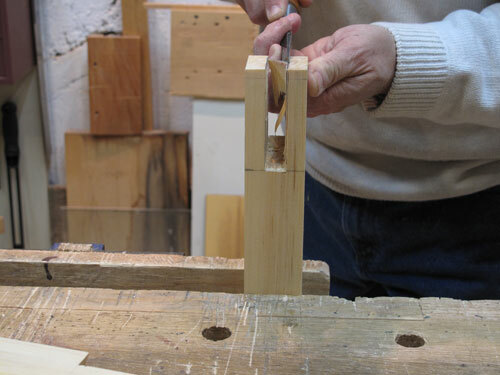 I made the switch for real when I realized that it would not make much sense to teach hand tool woodworking if I was not doing hand tool woodworking myself- I removed the machines from my shop and gave myself a year to determine if hand tool woodworking was my cup of tea. That was in March of 2002, and I have not gone back. People often ask if working without machines is too slow. The work is slower in the sense that it takes me longer to flatten a board with a plane than it did with a jointer, longer to chop mortises than to bang them out with a power mortiser, longer to rip a board by hand than to run it through the table saw. But my records in the first year showed that my output was about the same as the year before. I believe the time I lost doing specific woodworking tasks by hand, I gained back by not maintaining machines, not doing constant dust removal, and by working more because I was less concerned about bothering the neighbors and happier working in a clean, quiet shop. As my skills have improved my speed has increased. The fact is, I was not a particularly fast machine tool woodworker, and I am not a particularly fast hand tool woodworker- careful work takes time. 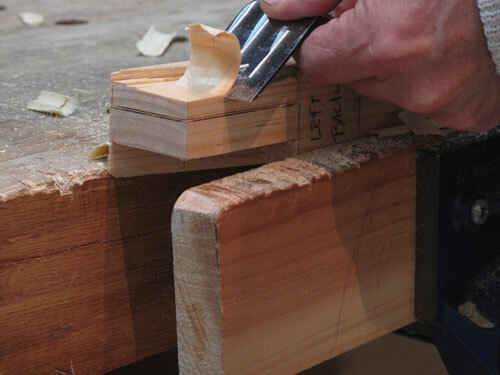 I continue to work with hand tools for a number of reasons. I like the idea that with each project, each task, I am honing my skills- so that when I complete a piece I get the satisfaction that comes with successfully finishing a project, and I get the satisfaction that comes with improving one or more of the skills required to make that project. I enjoy the physical nature of the work, like planing boards- watching the shavings gather on the bench-and the feel of cutting wood as I roll out shavings with a sharp scraper. I enjoy the quiet and the relatively clean working environment. I prefer preparing, sharpening and maintaining hand tools to maintaining and tuning machine tools. There are many ways to work wood, and I discovered that working wood with hand tools suits me- the process of and the proximity to the work appeal to me.